Actor, director, teacher, scriptwriter. Sergei Parajanov’s learner. In 1983 he graduated from Yerevan State Institute of Fine Arts and Theater. In 1998 he graduated from Yerevan State Institute of Theater and Cinematography, faculty of directing. In 1983, at the invitation of the Georgian Ministry of Culture, with a group of graduates of the institute he left for Tbilisi to support P. Adamyan Armenian State Dramatic Theater, where there was a need for young cadres. 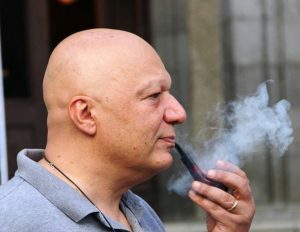 In 1997 he became laureate of UTF award and was awarded the “Best Director’s Work” award by the Georgian Ministry of Culture for “Passions by Artashes”. In 1998, for the first time in the Caucasus, by the order of the “Alliance Francaise” International Organization, he organized the performance of Francisco Pulensky’s “Human Voice” opera. In 1999, at the invitation of the Ministry of Culture and the Ministry of Education of the Republic of Armenia, he organized “Pilgrimage to St. Karapet ” theatrical performance in Spendiaryan Academic Opera and Ballet Theater. In 2002 he founded the “Moscow Armenian Theater and the “I” theater studio after Lazarev. 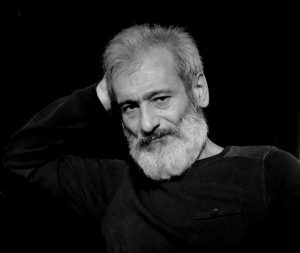 He has been featured in “Hayfilm”, “Mosfilm”, “Belarusfilm” and “Vratzfilm” studios and shot in more than 30 films, including “Color of Pomegranate”, “Where Are You, Man of God?”, “Ashik-Kerib”, ” Juna ” and more. Hrant Vardanyan was born in 1962, Yerevan. He graduated from Yerevan state university of physical education, studied to specialize in water ball game. Since his younger years he has always been creative. As a teenager, he tried himself in painting and writing, then he also went in for silverware classes, even designed his own examples. From his teenage years on, he has had the wish to produce motion films. The dream became even stronger, when his father bought him his first camera with objectives. Eventually, hard work and determination made him a film director. In 1995 he produced his first short film “Silence”: Many of his advertisements and music clips have been awarded. In 2011 Hrant Vardanyan founded Arevfilm studio, where he now works as a film director and producer. He collaborated with a Russian playwright Vadim Levanov to bring a feature film “1+1=1” into fruition. 2007-documentary film “The best cook”. It has received an award in the ” Best shorth film” nomination at Hayak national film festival. Julia Campanelli is an award-winning American filmmaker and actress of film and theatre. She is the founder of Shelter Film, a New York-based independent film company dedicated to creating films by and about women and minorities. Julia is also Artistic Director of Shelter Theatre Group NYC, a company dedicated to equality on stage, through gender-blind, stage-blind, and color-blind casting. She has produced and directed 13 productions in NYC, including the critically acclaimed Macbeth on LES in 2014. 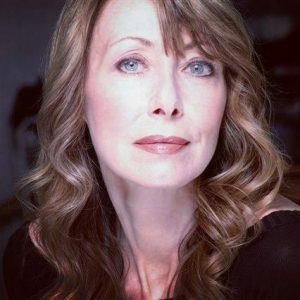 As an actress, film and TV appearances include starring in NBCUniversal’s Dementia 13, Shelter Film’s 116, Ryan Lonergan’s Kill the Monsters (Raindance 2018), Pamanhikan (Vale Film Festival winner); L’Accordatore (Las Vegas Film Festival winner); Pink Moon (Big Apple Film Festival winner); A Day with Conrad Greene; One Life To Live (ABC); Tattinger’s, and The Equalizer, to name a select few. Julia has appeared Off Broadway as Hecate in the OBIE, Drama League, and Drama Desk Award-winning hit show Sleep No More produced by Punchdrunk; Villainous Company; and Lucille Lortel Award-winning Queen’s Company’s The Wonder; as well as with Theatre Askew, Red Bull Theatre, New York Theatre Workshop and Folger Shakespeare, Washington, DC.